Some pointless Sky-Watcher refractor pr0n slightly tweaked in Photoshop Elements. All of these fit on my SW AZ5 mount and are essentially grab'n'go scopes. The ST102 and ED72 are primarily for rich field and the ED80 is more of an all rounder. j.gardavsky, Peppy2, Ozman13 and 3 others like this. Looks good! Is that a linear bearing Crayford on 102mm? 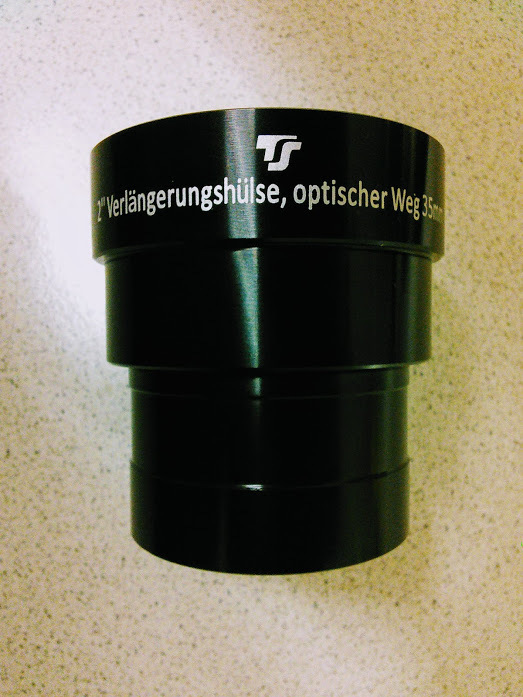 Looks like GSO focuser I have on 150R. Thanks Bigz. Yes, it's a GSO MonorailR96 I bought from TS Optics. I ordered the scope at the same time. I've never used the scope without it being fitted. 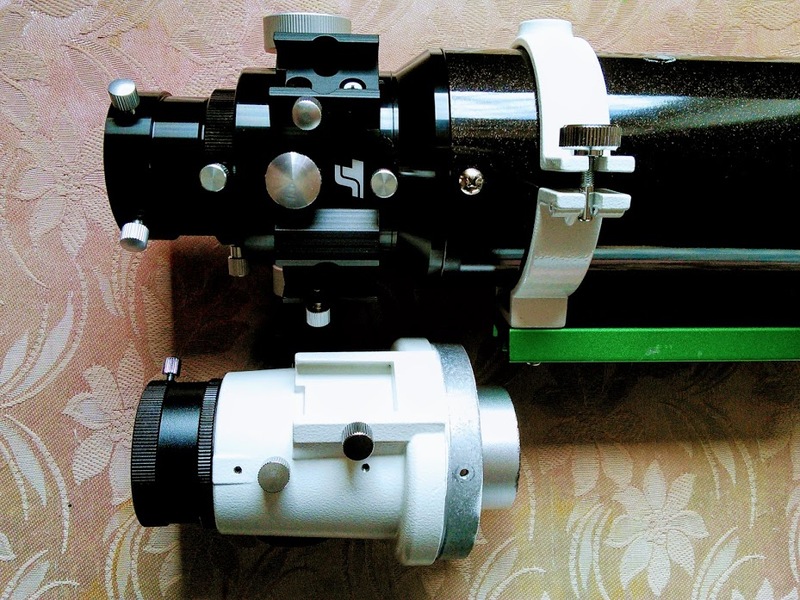 The stock focuser I have replaced on my Celestron 150R looks exactly the same as your SWs. Actually, the stock R&P was not bad (after re- greasing and fine-tuning). The main reason I have replaced it is that GSO Crayford has shorter optical path which allows to use 2" filter wheel and Baader EP Q-turret. Different diagonals can have different focal planes. 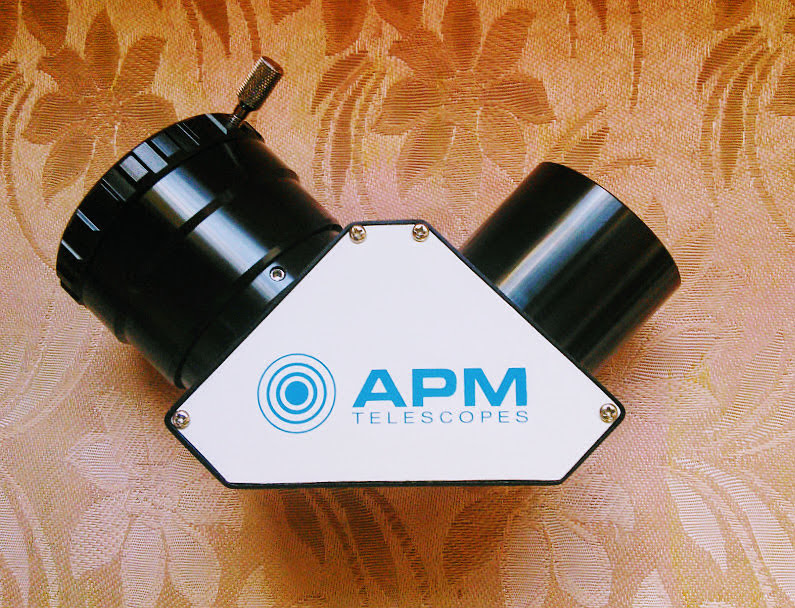 I don't need any extension tube with the ST102 with this 2" APM Amici diagonal. Yet with other diagonals I need at least a 35mm extension tube. The APM won't focus at all in the ED72. 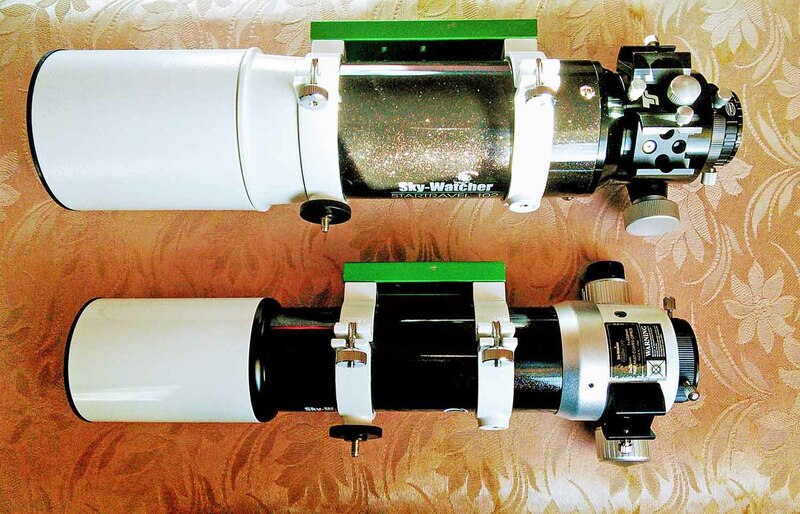 C-6 refractor vs 8" Newt ! 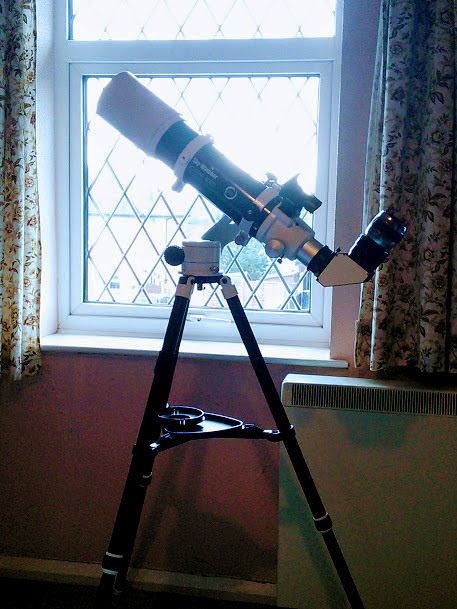 First light report...New refractor convert!